Welcome to Typically British Toronto. We are an online community and resource for Brits living in, visiting or moving to Toronto. 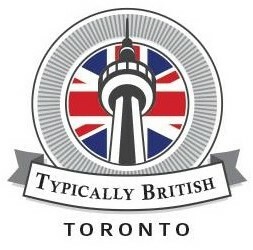 This webpage was established to promote all that is BRITISH in Toronto, Canada. From traditional Pubs, tasty Fish & Chip restaurants to specialised shops that stock the best items and products from back home. We also provide updates on current affairs, sports, TV, advice, humour and anything else happening in Britain right now! If you are a Brit hoping to visit or move to Toronto, then this webpage will help you with the ins and outs of getting here, where to stay, etc and give you the low down on Toronto in all it’s glory. No matter what your reason for leaving Blighty may be, there is something uplifting about connecting with someone who understands your culture, who has heard of where you come from and who shares your sense of humour. Would you like to contribute to this webpage? Do you have any questions of queries? Submit them to TypicalBrit@hotmail.com. My name is Victoria Urquhart. I’m the founder of the #Shakespearelives festival in Toronto and the Spur-Of-The-Moment Shakespeare Collective. Thanks so much for the post! Wanted you to know that we have another show that is a part of the festival (it’s listed near the bottom) that may be of interest to you: each year we run the #ShakesbeersShowdown, which brings together 9 indie Shakespeare companies to competitively read the original text (first folio), and if they screw up, they have to drink some beer. It’s a great night in support of our fall programming, the Shakespeare-In-Hospitals Program. We currently have a ticket giveaway for it that I would love to let you and your community know about. If you could contact me at Shakespur@gmail.com, I would love to send more info about it.